Can you believe we have about TWO weeks until Christmas?! I was on such a Christmas high at the beginning of the month and planned out endless holiday activities. Sadly, they got cut short with the fires going on because the air quality is just relentless still so we can't really spend that much time outside. But I'm trying to get back into the spirit of things and since I didn't post a gift guide last week as promised, I'll be posting two of them this week! 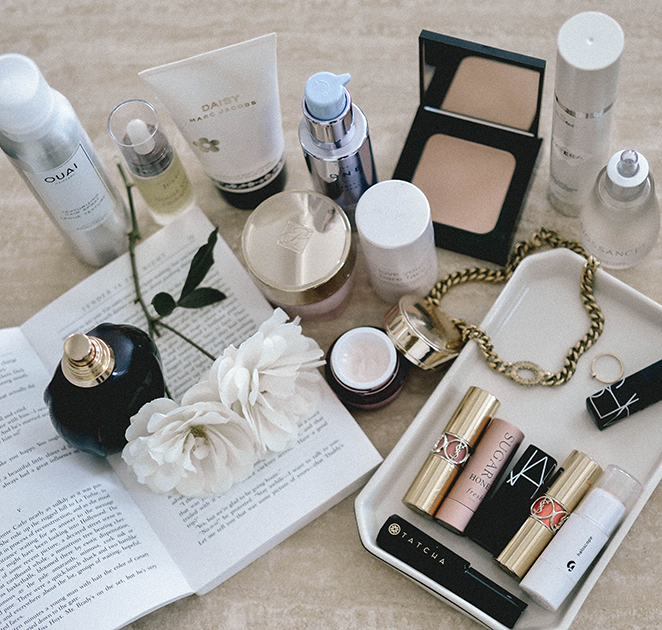 This next guide is for the beauty obsessed gals out there. All 10 of these products are on my list of favorites or wants. Simply click anywhere on each product's section and you'll be taken directly to the product's page to shop. If you've tried any of these and love them, let me know! Also, keep in mind that you can purchase the majority of these items online and pick them up in stores to save on shipping time so you can get all your presents wrapped and ready to go! Yay!